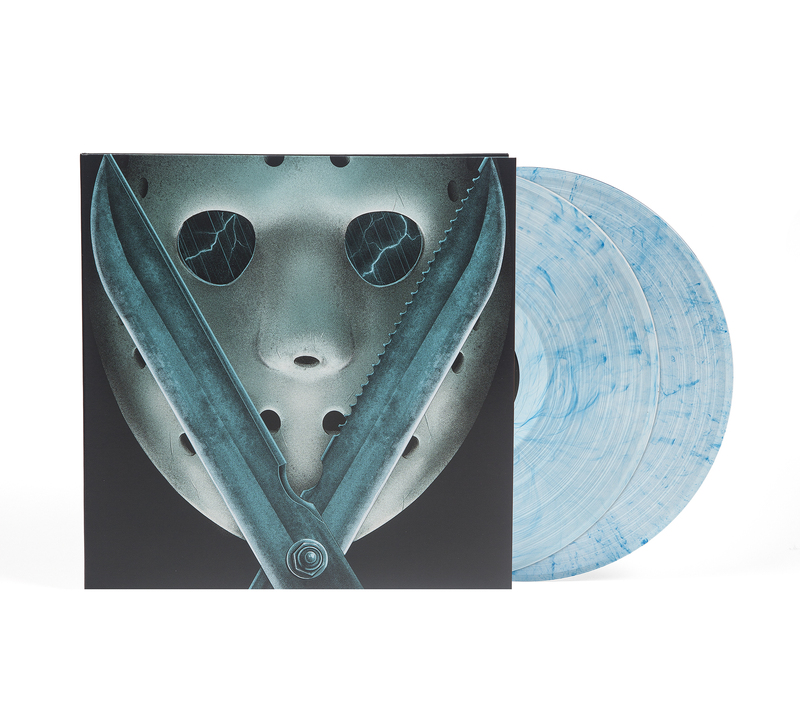 Waxwork Records is beyond thrilled to announce FRIDAY THE 13TH PART V: A NEW BEGINNING Original Motion Picture Soundtrack by Harry Manfredini. 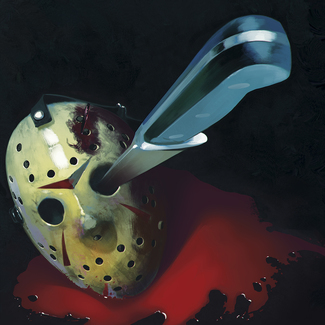 For the fifth soundtrack installment of the beloved slasher-horror franchise, the Friday The 13th crew reeled back in composer Harry Manfredini to score “A NEW BEGINNING” in 1985. 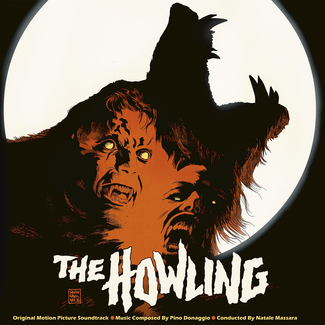 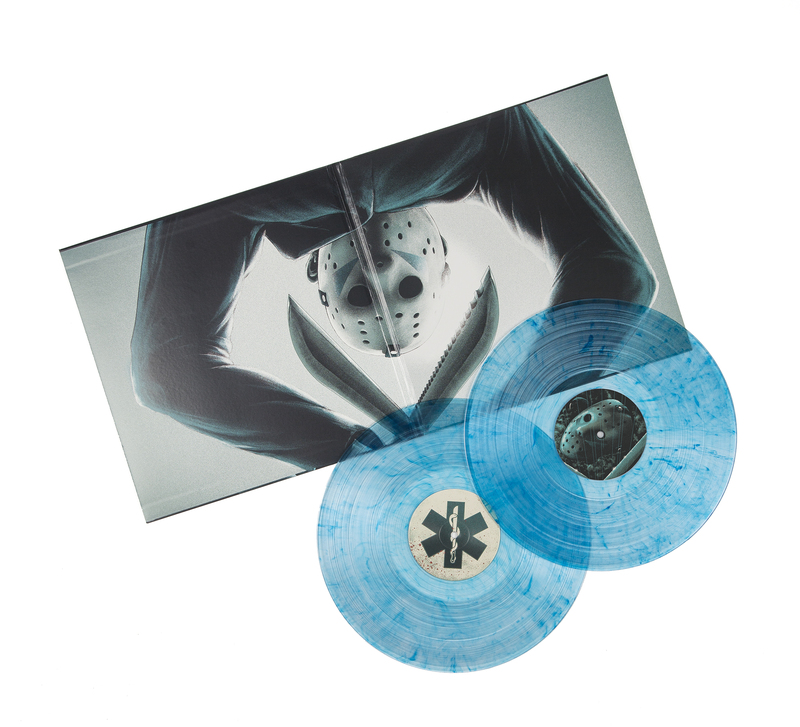 Waxwork collaborated closely with composer Manfredini to release the complete and re-mastered original soundtrack which spans two 180 gram “Imposter Jason Blue” vinyl records. 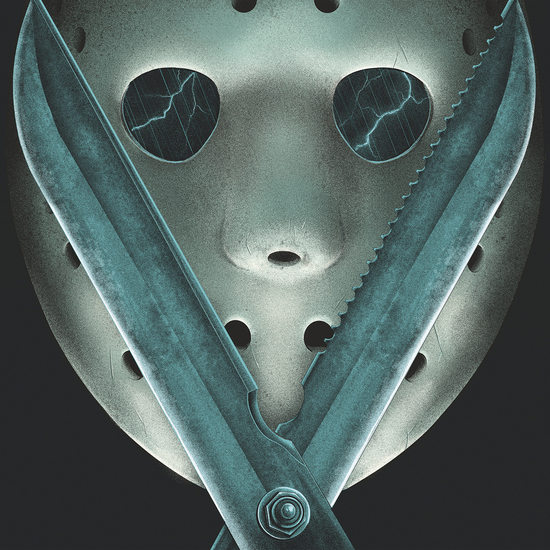 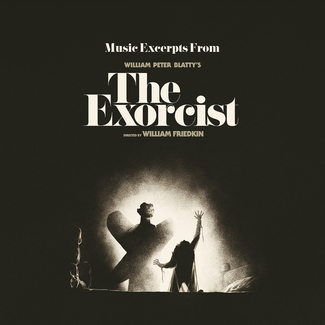 Diehard horror fans, campers, and promiscuous summer camp counselors alike will appreciate this classic soundtrack featuring massive orchestral cues, giant stabs, and the classic “Ki, Ki, Ki… Ma, Ma, Ma” chant throughout! 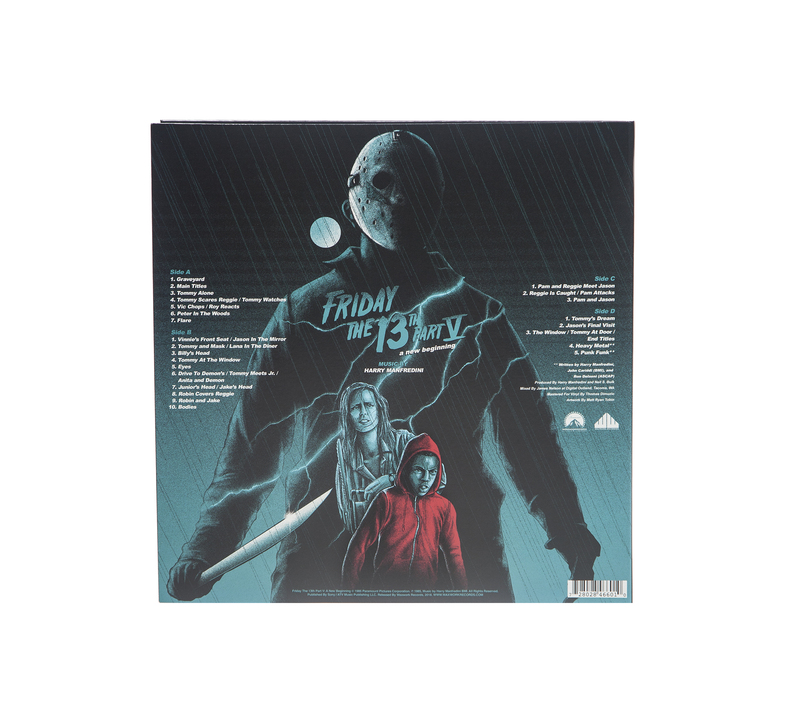 The new double LP soundtrack album features lavish new artwork by Matt Ryan Tobin, deluxe packaging, old-style tip on gatefold jackets, 180 gram colored vinyl, and more!